Set in a place called Nexus, heroes from across all Blizzard games to battle against each other in “fun, quick, action-packed matches” where the team-based play is put on a premium and several unique battlegrounds emerge. 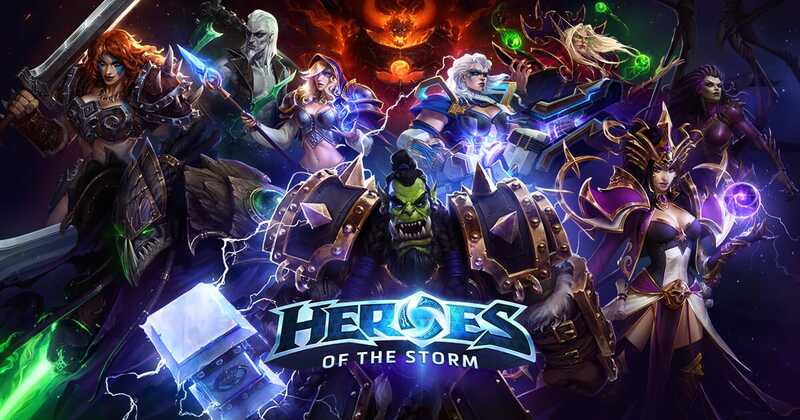 After quite a long wait, with plans of launching a special game for all Blizzard heroes that began way back in 2010, the game has finally weathered the storm when it was given the green light for release and was given a new title—from Blizzard All Stars to Heroes of the Storm. The game was officially on beta on January 2015 and after only a month, nine million players have already signed up and downloaded the game. Although the game is generally free to download and play, Heroes of the Storm also adopts a freemium model in its gameplay where players may use micropayments in order to purchase some visual alterations to their characters. For the characters and heroes, the game lets you play around with a few heroes for you are only given a few heroes to try out. There is a free weekly hero rotation that takes place wherein players can try to use five heroes out of the game’s 34 heroes (although you can have a max of 7 for free rotation by leveling up your account level). You can purchase other heroes for 2,000 coins or $4, to a maximum of 10,000 coins or $10. You gain these coins slowly while you win games or you could just skip it and just straight up pay for it. You don’t have to go in blind when buying a hero though because there is a feature in the game that lets you try a hero before you buy it. For the gameplay, the thing that separates Heroes of the Storm from other MOBAs is that Heroes of the Storm is focused on shorter matches with a huge emphasis on teamwork even more so than the other MOBAs out there. You see on each map, there is a quest of sorts that is unique to that particular map. There is a lot of variety here when it comes to gameplay. You CAN rely on your MOBA knowledge and skills but relying too much on them without focusing on this objective based game will more often than not, punish you for it–especially if the other team knows and coordinates their plans well.